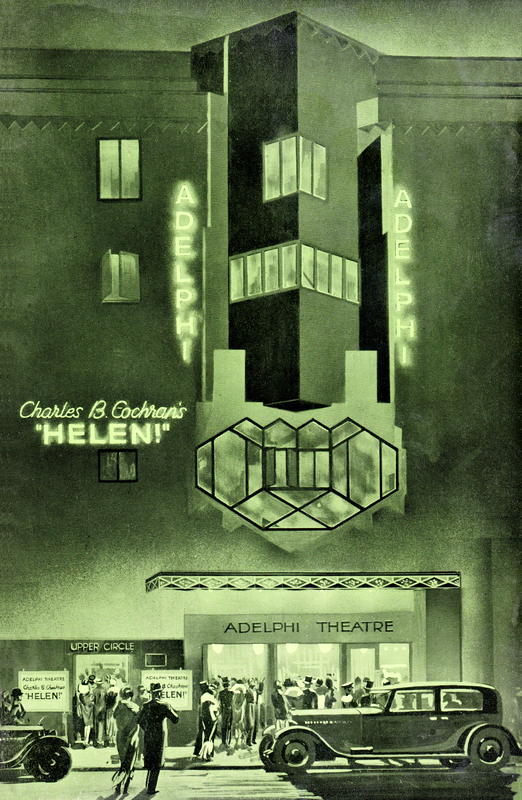 The Fourth Adelphi Theatre, 1930. Architect Ernest Schaufelberg designed a new building in the art deco style. The façade demonstrates his conception: there were to be no curves either inside or outside, and an angle of thirty-two degrees was the master note. "The lower half of the walls and fronts of the two circles has [sic] been panelled in wood of a deep orange colour, perfectly plain, polished and with no decorative motif whatsoever. This, with the general colour scheme of orange, green, and gold, with bronze insets on the underside of the circles, gives a most bizarre and opulent atmosphere." "Trigonometry in the Theatre" Architects' Journal (3 December 1930). The opening production was Evergreen starring Jessie Matthews. 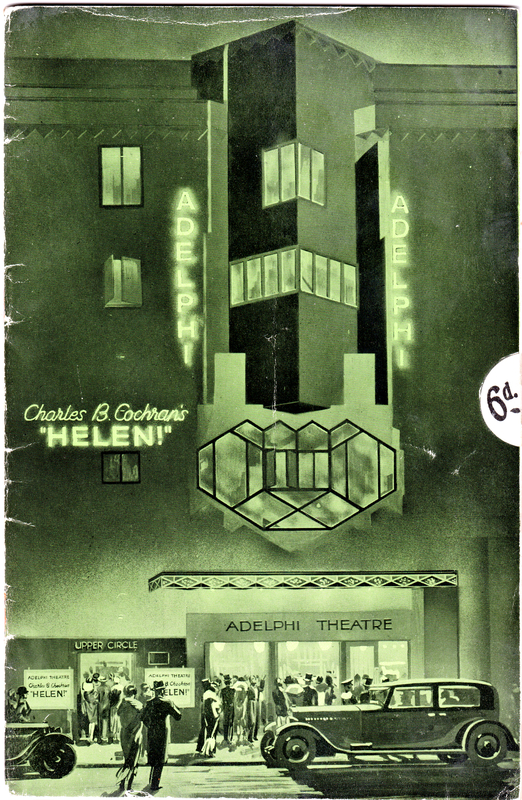 This Image is from the front page of the program for "Helen!" (1931-1932). To see the full program: Helen! program (15.1 MB).